Voters who followed the 2008 presidential election will probably be familiar with Mitt Romney. Romney is a conservative businessman who ran a three-way race with Mike Huckabee and John McCain for the Republican nomination before finally being defeated by John McCain. Many voters probably remember Romney best for the controversy over his Mormon religion. Willard Mitt Romney was born in Detroit on March 12, 1947. His father was a CEO of American Motors and a three-term governor of Michigan. His father ran unsuccessfully against Richard Nixon for the GOP nomination for president in 1968. Mitt graduated from an elite private school and then attended Stanford University in the midst of the turbulent ‘60s. At Stanford he was known as a clean cut student and at one point was part of a counter-protest to a sit-in against the draft. After a year at Stanford, he became a Mormon missionary to France for two and a half years. When Romney returned to the U.S., he enrolled in Brigham Young and married Anne Davis, who he had begun dating before he moved to France. He graduated from Brigham Young with a B.A. in English in 1971. He also earned a joint Juris Doctor/MBA from Harvard in 1975. While in college and the mission field, Romney received deferments from the draft. When he graduated, he was not drafted due to a high number. Romney’s first job was with Boston Consulting Group as a management consultant. He later became a highly successful management consultant for Bain and Company. Romney became Bain’s vice president in 1978. In 1983, Romney headed up Bain Capital, a new venture capital firm. Bain Capital later focused on buyouts of other companies, which would then be rehabilitated using Bain’s management consulting methods. Romney earned a reputation for being frugal, cautious and moral. He once opted out of a deal involving a movie studio because they produced R-rated films. In 1990, he returned to Bain and Company, the consulting firm, to save the company from bankruptcy. He drew a salary of one dollar while restructuring the company over the next year. In 1994, Romney challenged the re-election of Democratic Senator Ted Kennedy. Romney won the Republican nomination in a landslide, but lost to Kennedy by 58-41 percent. This was partly due to Kennedy’s ads that questioned Romney’s flip-flops on issues and treatment of workers at companies that Bain owned. Romney is well known for managing the 2002 Olympic Games in Salt Lake City. When he took the helm of the organizing committee, there was a $379 million deficit. Under Romney, the games turned a profit and were widely considered to be one of the most successful Olympics in U.S. history. In 2002, Romney was elected governor of Massachusetts. Romney cut spending, closed tax loopholes and increased fees to turn a billion dollar deficit into surplus. He is most remembered, however, for presiding over the enactment of Massachusetts’ universal health care law, known informally as “Romneycare.” The law is very similar to the Affordable Care Act, “Obamacare,” and contains an individual mandate to buy health insurance and fines for those who do not. In 2008, Romney competed in the Republican presidential primaries. After he failed to win the nomination, he endorsed fellow Republican John McCain and vigorously campaigned for him. In Georgia, Romney finished third with six percent of the vote. Mike Huckabee finished first with 34 percent followed by John McCain with 32 percent. After the election, he founded the Free and Strong America PAC to raise money for Republican candidates. Romney has also written two books. One of the largest drawbacks for Romney in the 2012 campaign will undoubtedly be his connection with an Obama-like health care reform law. The Wall St. Journal reports that already Massachusetts is increasing fines and taxes in a desperate attempt to keep the program solvent as its costs skyrocket. According to the article, current governor Deval Patrick is considering spending caps as well as excluding coverage for certain services. NPR notes that the large increase in people with health insurance in Massachusetts has led to a doctor shortage where many doctors are not accepting new patients. Five years after the reform law passed, Massachusetts is still the second most expensive state for health care (just behind Maine) according to the Small Business and Entrepreneurship Council. An April 2011 poll shows that 49 percent of respondents don’t believe that Romney’s reform is working. Romney recently attempted to defend his Massachusetts law in a major speech and an op-ed letter to the Wall St. Journal while at the same time attacking President Obama’s version. An important distinction is that the individual mandate is widely believed to be unconstitutional under the commerce clause of the federal Constitution. Many state constitutions may permit such a mandate. Voters, however, may not like such an expansion of government power even if it is legal. The bottom line is that the reform is not working. His record on health care reform is the biggest problem for Romney to overcome. Many voters might also be leery of Romney’s record of flip-flops. In particular, Romney is known for having reversed his position on abortion. As a candidate for governor in 2002, Romney said in a televised debate that he would “preserve and protect a woman’s right to choose [abortion].” By 2007, prior to his presidential campaign, Romney claimed that he had come to see abortion as immoral. 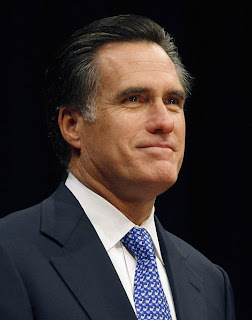 A sister of Romney’s brother-in-law died in an illegal abortion in the 1960s. Charges of past flip-flops make it difficult for Romney to distance himself from his health care reform record without looking uncertain of himself. Another Romney scandal is his involvement with Damon Corp., a company that plead guilty to defrauding the government. Romney sat on the board of directors while the fraud was taking place, but none of the directors have ever been implicated. Romney claimed to have asked Bain’s lawyers to investigate the illegal activity and helped to correct it, but court records indicate that the fraud continued until after Bain sold Damon according to Deseret News. More recently, in February 2010, Romney was involved in an air-rage incident with Sky Blu, a rapper with LMFAO. The two were on a flight from Vancouver to Los Angeles when Romney asked Sky Blu to raise his seat back and a fight resulted. Sky Blu claimed in a video that Romney grabbed his shoulder and he then tried to punch Romney in self-defense. The plane returned to Vancouver where Sky Blu was arrested and removed. Mitt Romney is currently the frontrunner among the GOP candidates. A recent Gallup poll (after the departures of Huckabee and Trump) puts him at seventeen percent, two points ahead of Sarah Palin. If Palin does not run, Romney would move up to nineteen percent. This would give him a comfortable seven point lead over Newt Gingrich, his nearest rival. Of course, Romney has been disappointed before. He was widely considered to be the likely GOP candidate in 2008, only to be confounded by McCain and Huckabee.